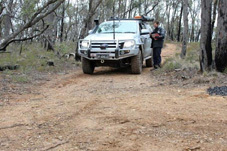 The 2019 Bendigo Navrun will be held in the historic bushlands surrounding Bendigo, Central Victoria and will feature 2 days of classic 4wd navigation courses. 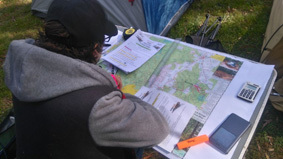 This event is designed for single vehicle teams and you will be using paper maps, compass and GPS to plot and drive your way through forest tracks full of historic hidden treasures. There will be something for everyone, with terrain suitable for all 4wd's and navigation that is challenging, but also accessible for newcomers. We will be camping on private property just 15 minutes from the centre of Bendigo, with catering included for Saturday breakfast, Saturday Dinner and Sunday Breakfast. Entry Fee is $350 per vehicle and includes catering for your Driver and Navigator. extra passengers are also welcome, and only required to cover catering costs if needed. 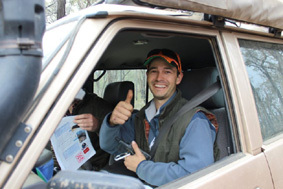 Prizes and trophies will be awarded up to 10th place, so grab you mates, bring your families and take on this challenging off-road adventure of the 2019 Bendigo Navrun! Further details please contact Gary Coates at gary@navrun.com.au or phone 0408 374 456. For more details contact NavRun Headquarters (Rudi Paoletti). Full details are under Contact Us. Please also refer to the Navrun Rules & Conditions. Refer to the Fixture for venues and dates of all the Navruns. Results and Scores of all the Navruns. View Photo Gallery of the Navruns.